Samsung’s Galaxy S6 was expected to make a big splash in the mobile segment and a new report suggests that it has, at least to some extent. According to a report generated by Kantar Worldpanel, the Galaxy S6 was the third highest selling smartphone in the U.S. as on the three month period that ended in May 2015. The Apple iPhones and the Galaxy S5 are said to be in the first and second positions respectively, suggesting that the 2014 Samsung flagship is still managing to sell despite being an year old. What this also tells us is that Samsung is yet again the top smartphone vendor in the United States, while iOS marketshare was seen to be slowly shrinking, which was always on the cards given the arrival of newer devices. To summarize, Android leads iOS 2:1 in the U.S. market, which is welcoming news for Samsung and the Android platform in general. The iPhones created quite a storm in the mobile industry late last year, but it’s good to see Android regaining some lost ground with the new crop of flagships. You can find the entirety of the report from Kantar’s official page below. 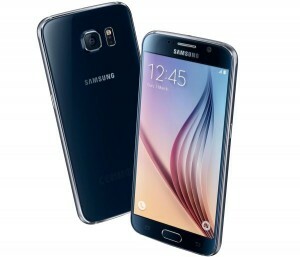 S6 would be number #1 if they would have kept the SD Slot & removable battery. Hopefully, a lesson learned by Samsung.